Move into the creative life you were born to live. Have you felt stuck or lost in the direction of your life? Refine your ability to orient better for moving forward. This is the third year of this on-going retreat for women to work with tools of orientation and navigation for moving through change and transitions. Begin refining your inner compass here. We will use nature awareness, Feldenkrais and earth-based practices to access the deep core of your bones, organs and attune senses to navigate changes in your outer and inner landscape. Connect your body, mind and spirit to make the shift in your life toward your highest potential. This year’s theme of Navigation will tap into drawing insights from the intelligence and messages from the natural world for transformative power during life transitions: learning to track and orient around the movement of the animals, birds and insects and the elements of wind, sun, stars and moon, stones, trees and waters. Experience guided lessons to increase your sense of navigation through life based on the Feldenkrais Method® and nature-based teachings. Shift limiting patterns in movement to connect with vitality and inner alignment. Learn to quickly shift your mental and physical space to a more positive, powerful place. Feel lighter, easier to move in all directions. 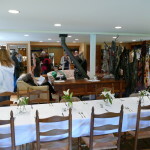 Rest in the woods and dine scrumptious food for a renewing retreat. Nourish your mind, body and soul in a comfortable, quiet setting in nature with delicious food, transforming activities and interesting people. Prepare a creative space for winter and your life ahead. Grounding & Orientation: We’ll be using tools using your body to help stabilize and clarify your sense of orientation with your surroundings. These sensory tools help quickly calm and clear your nervous system, connect your mind to your body for grounding, and gather a clear sense of self-image. Identify what you think/feel your limitations are and begin shaping where you’d like to go using guided movement lessons and nature activities. Making a Shift through your Core : I’ll be drawing from earth-based practices which will include guided imaginal journeys, the Feldenkrais Method®, nature activities and concepts from martial art and meditation practices to work with shifting energy and self-image. Throughout the four days, we’ll be working with nature and movement and awareness lessons for connecting the heart, belly and third eye. These lessons access the neurological networks for moving energy through your system for guidance and creative purposes. Learn to cleanse your nervous system and strengthen the field that defines your space. 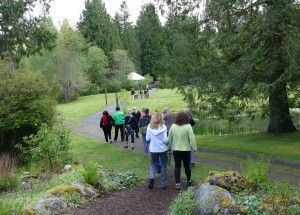 Nature as Teacher: This retreat will work powerfully with the four primary directions in nature. We’ll connect with the intelligence of the natural world for guidance and transformation. This is the best time of year is for moving through change, dropping old patterns and envisioning new pathways. Use this retreat to get clearer to navigate on your life path, find inner guidance and move toward what gives your joy. Gather insights from the animals, birds and insects you can apply to yourself and your life. Deepening Trust in Your Self. Quiet the chatter and recognize distractions which keep you from your path and deepest heart’s desire. Feel deeply relaxed and ready to move in any direction. You’ll take home many tools that can strengthen your navigation abilities to quickly shift your mental and physical space toward where your heart wants to go. Let go of old fears, draw power and trust in the earth and your body, find clarity on your path in life. Prepare a creative space for winter and your life ahead. This is a popular retreat and space is limited. Register Now (Below) to reserve your place. Retreat begins Oct. 20, Thursday 6pm and concludes at 4pm on Sunday. Our culture is moving at a fast pace. Retreats make it possible to take a break from your habitual patterns, get off the road, quiet your mind from distractions and balance yourself in nature. Nature has a way of putting life in perspective and re-orienting one to what is most important. Take the time to nourish your body, lighten your chest and look at your life “map” in your heart. Mosswood Hollow is a rich habitat for bird life and will provide opportunity to immerse in the medicine of these brilliant creatures. In this retreat, you’ll receive healing and deep nourishment on many levels. Quiet the inner and outer buzz. Unplug from your work, phones and habits. Listen to the sounds of birds, owls, trees and take in rich air of late fall. At night, bundle up with a blanket and sit out on the deck or in the meadow under the stars. Re-calibrate the course of your life for balance, well-being and a deep connection to your core. Your fellow retreat attendees are also a big part of this experience. Like yourself, each brings special gifts and wisdom to share in this experience. This community we create, along with the nature around us, makes for rich learning experiences that will stay with you for a long, long time. Mosswood Hollow Retreat Center has a lodge with comfortable rooms/beds and common areas for lounging. 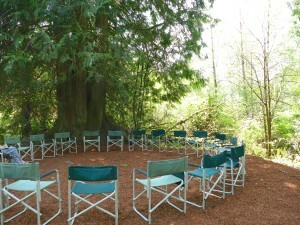 If you have not spent much time in the woods or nature, this retreat center is a great introduction. 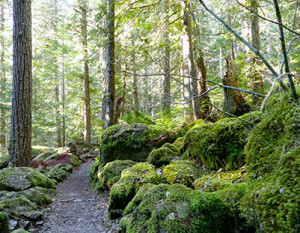 The main trail is very walkable and there are many places outside their lodge to sit and enjoy the birds and sky. 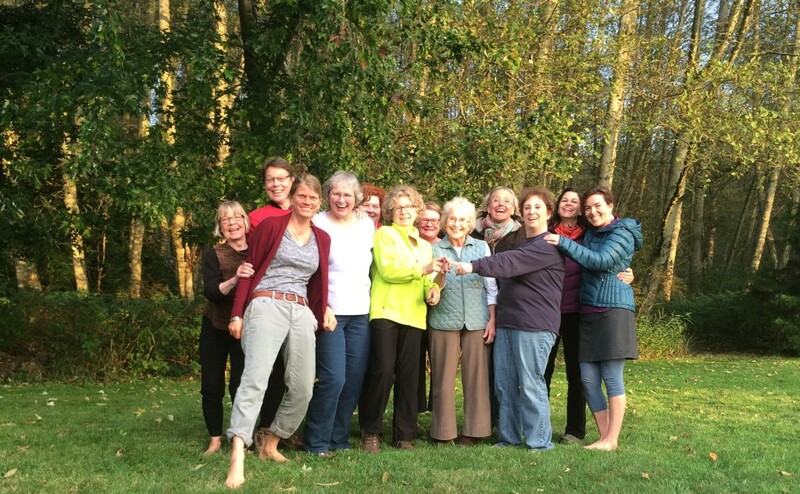 This retreat is designed to be healing, vitalizing and expansive. The combination of activities with some of the best food you’ve ever eaten will make for a an uplifting retreat. (Truly, the food and presentation is exquisite and most people remark is a big part of their retreat experience.) This retreat will be a great preparation for winter. Because of the depth of this retreat, please include information on your background and interests in the comment section of your registration. Space is limited. For registration via mail: send $150 to Annie Thoe at PO 75671, Seattle, WA 98175. Women only– this provides us with a safe place to listen to the quiet voice within. Thanks for sharing this with friends, Facebook, etc. I look forward to working with you! A $150 deposit is required to secure your reservation either with check or Paypal. You may also pay the entire amount. Before refunds offered minus a $150 administration fee. After refunds offered, minus the administration fee, will be granted if your place can be filled with a new participant.